Avengers Assemble – So Far, So Good! WARNING: Spoilers follow!!! Read at your own risk!!! 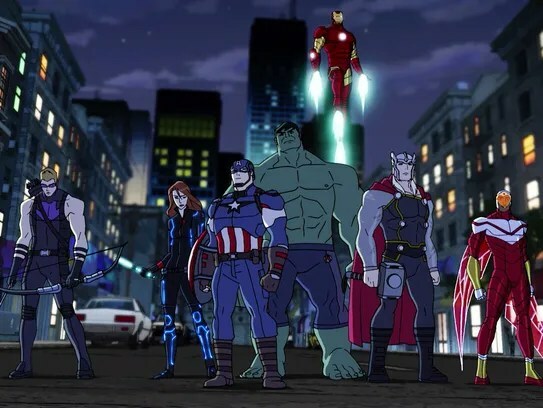 Season three for Marvel’s Avengers Assemble will be hitting the airwaves today – March 13 – readers! The third season will be titled Avengers: Ultron Revolution, so expect to see more of that crazy tin-can running around and bothering the team. The Avengers’ roster will also be growing this season. So far Vision, Black Panther, Captain Marvel/Carol Danvers, and Miss Marvel/Kamala Khan have been confirmed to be arriving on the scene in this season. The show will also be featuring its own Civil War story arc, so we could see more of Bucky Barnes in this season than we did in the one episode where he appeared during season two (which was a rather pitiful opening appearance for him, by the way). Since there is a third season coming out, I thought I would go over the show’s season two in this post. Besides, I have not written anything about the series for a while. I figured it would be nice to talk about it again, change things up a bit. Season two of Avengers Assemble was better in some ways than season one – much better. 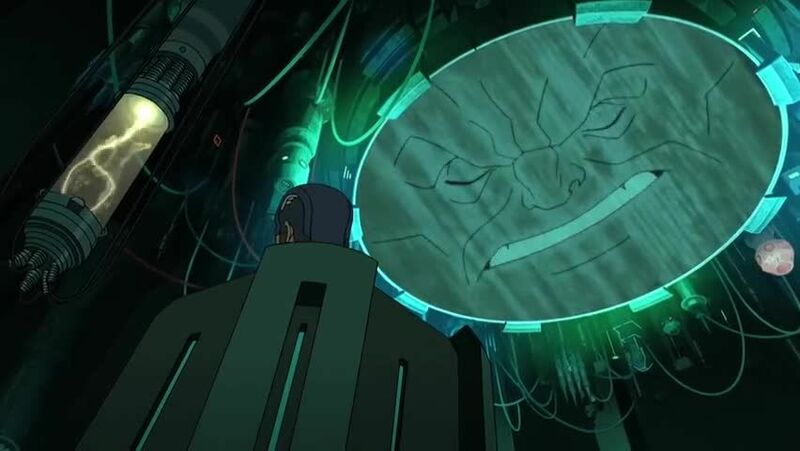 Though the opening episodes (The Arsenal and Thanos Rising) were not the greatest, they set up the Avengers’ conflict with the Mad Titan and kicked off the second season. In that way, they served their purpose. Valhalla Can Wait, the third episode of the season, was actually a fairly strong show. Although it made Cap look stiff and Hawkeye acted like a dork again, this episode was pretty good for Thor and the Hulk. We even got a brief glimpse of Bruce Banner, which was nice, since I kind of miss his appearances from Earth’s Mightiest Heroes! Hulk fans will hate me for that, but the thing is that I like Bruce to put in an occasional appearance every once in a while. He is a member of the team, too, you know! Episodes Nighthawk, The Age of Tony Stark, and Head to Head were improvements, however. Nighthawk introduced us to the cold, calculating leader of the Squadron Supreme, and set up a subplot where in the Avengers eventually had to face the demented former heroes from another world. This episode was a strong one for Falcon. Very good!!! The Dark Avengers, Back to the Learning Hall, and Downgraded came next. Dark Avengers sees the Squadron Supreme warp reality so that they are the heroes and the Avengers are the villains. When Tony gets a look at how reality is actually supposed to be, however, the Squadron’s plans unravel and the Avengers get their hands on the Reality Stone in the bargain. This was a great team-building episode, as well as another show that saw Cap and Tony become good friends again. For that, and the great action sequences, it earns a solid five stars. Back to the Learning Hall is a more subtle episode, and though it makes Hulk and Hawkeye look a little goofy, it is a good show for Thor. Thor is summoned back to Asgard for a school reunion, with Hulk and Hawkeye tagging along to see what Asgard’s school looks like. In the process, they learn that Thor never actually graduated from the “Learning Hall” – much to his chagrin. Since the Prince of Asgard needs better treatment in this series in my opinion, I rather enjoyed this episode! Widow’s Run and Thanos Triumphant were pretty good installments in the series, too. While it was a half-time battle between the team and the Mad Titan (we got to see more of Thanos later on), they did a good job on these episodes and made them thrilling. Though for the record, I do not see the Infinity Stones corrupting Cap and making him greedy for power. Anyone else on the team, I admit that it could happen. But to Cap…?! Not in a million years, people! Thanos Triumphant also (re)introduced us to Ultron, setting up a “disassembled” storyline that ran through Crack in the System, Avengers: Disassembled, Small Time Heroes, Secret Avengers, and The Ultron Outbreak. Of the bunch, I liked Secret Avengers and The Ultron Outbreak better than the other three. I do not enjoy episodes or stories where the Avengers fracture and fall apart. I can handle some of them quitting the team out of anger or exhaustion but….splitting the Avengers into halves, fourths, or even smaller factions – it rubs me the wrong way entirely. The New Guy was not such a bad episode. Hawkeye, who knew Ant-Man in their respective criminal pasts in this series, does not take to the new Avenger very well. He distrusts him because of an incident where Scott Lang turned on the Circus of Crime while Clint was still with them. Cap accepts Hawkeye’s concerns and suggests they take Ant-Man on a training run in the Savage Land to see how trustworthy he is. Hawkeye gets more of a test than he bargained for when the three run into the Red Skull, who is trying to hide on the island from Thanos. This is because he knows the Mad Titan is determined to return to Earth in order to conquer it at some point in the near future. Hawkeye does not get the best showing in this episode, but nobody is perfect. And he does better here than usual, so since I am a beggar, I cannot be a chooser. I will take what I can get. The next set of episodes focuses on the rivalry between the Avengers and the Squadron Supreme. This antagonism soon blows up into a full-fledged war between the two factions. Now this is the kind of super-powered conflict I would rather the Marvel writers would throw at our heroes! 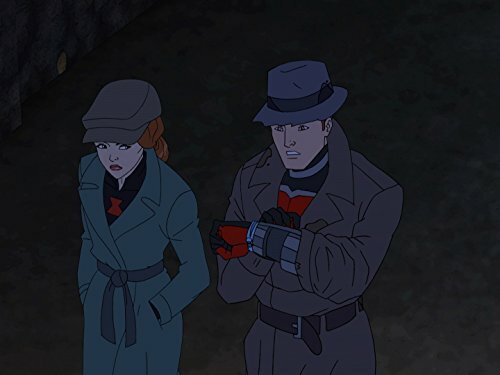 Terminal Velocity, Spectrums, Midgard Crisis, Avengers’ Last Stand, and Avengers Underground are five of the strongest episodes in season two of Avengers Assemble, all because they focus on the battle between the Squadron Supreme and Earth’s Mightiest Heroes! Honestly, the writers could have ended the season right there and I would have been pleased as punch. But they just had to get in a little more screen time for nasty ol’ Thanos. This resulted in New Frontiers and Avengers’ World, the two-part ending for the second season. New Frontiers was marginally stronger than Avengers’ World. Hawkeye finally got a young fan in New Frontiers, which was about the only good thing he had happen to him in that show, while Avengers’ World proved what fans around the planet already know: the Avengers are an ideal as much as a team. If the writers had had these episodes occur ahead of the ones tying up the subplot with the Squadron, I would be more forgiving. As it is, I like the episodes where the Avengers face off against the Squadron most of the whole season. So New Frontiers and Avengers’ World felt anti-climatic and tacked on rather than fulfilling and satisfying, unlike the two-part ending for the first season. On the whole, the second season of Avengers Assemble was pretty good. It was not perfect, but that would be too much to ask of any series’ writers. Season two not only kept Assemble on the map, it staked out new territory, especially when it comes to the story arc about the Squadron Supreme and the addition of Ant-Man to the team. I would prefer that season three focuses more on how the characters are growing than on juvenile “humor,” but I will not be holding my breath for the writers to work on that. I would also like to see more characters added to the Avengers roster – preferably not at the expense of the Avengers currently on the team! But if we could get Mockingbird, Quicksilver, the Scarlet Witch, and a few others in the club, that would be GREAT!!! It would also be nice to see more of Bucky, who got short-shrift in the second season. Since there will be a Civil War story arc in season three, I think we can bank on seeing some more of the Winter Soldier. Hopefully, the third season will expand on his character in a good way, along with everyone else’s. But we will only know by watching it. 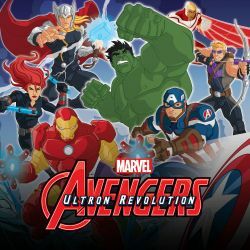 Look out for new heroes and new villains in Avengers: Ultron Revolution, readers! This entry was posted in Marvel Comics' Characters and Stories, TV Shows and tagged Avengers Assemble, Black Widow/Natasha Romanoff, Captain America/Steve Rogers, Falcon/Sam Wilson, Hulk/Bruce Banner, Iron Man/Tony Stark, Marvel, Marvel Comics, Marvel Comics' Characters and Stories, Roger Craig Smith, superheroes, The Winter Soldier/Bucky Barnes, Thor, Thor Odinson, Troy Baker, TV Shows on March 13, 2016 by The Mithril Guardian.